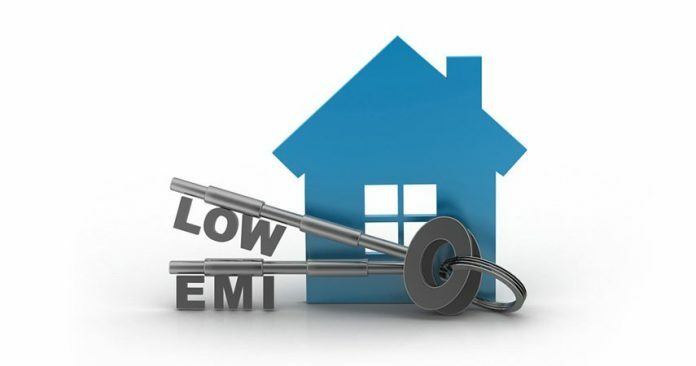 New Delhi: EMI’s on home and car loans are likely to fall as the Reserve Bank of India (RBI) on Thursday announced a cut in repo rate by 25 basis points to 6 per cent. This is the second consecutive time the six-member Monetary Policy Committee (MPC) of RBI, headed by RBI Governor Shaktikanta Das, voted to reduce the repo rate by 25 basis points (bps). RBI has cut the repo rate in this calendar year. In the last monetary policy review on February 7, RBI cut the repo rate by 25 basis points. Repo rate is the interest rate at which the RBI lends money to banks. When the cost of borrowing goes down for banks, they are able to lower their respective marginal cost of funds based lending rate (MCLR), which directly impacts your loans. According to Mint, the 25 bps reduction in repo rate between June 30, 2017, and end-December the same year had prompted a 23 bps cut in MCLR. For instance, consider a Rs 30 lakh home loan for a 15-year tenure. The current interest rate offered by SBI is 8.75 per cent, which translates into an EMI of about Rs 29,983. But if the interest rate comes down to 8.5 per cent, assuming the bank passes on the full benefit of the 25 bps rate cut today, your EMI comes down to Rs 29,542. That may not seem like much but the total reduction in your interest payable is close to Rs 80,000. Similarly, a car loan for Rs 10 lakh for 7 years will be cheaper by Rs 10,730 if the interest rate comes down from 9.5 per cent to 9.25 per cent. But customers have to wait to avail of this benefit because of the reset data factor. According to experts, the interest rate of the loan for the borrower is changed only on the reset period, which is typically 1 year. So your loan rate will go down only after twelve months even if your bank reduces the MCLR rate today. Nonetheless, the RBI’s decision to slash the repo rate is likely to give a breather to the battered real estate sector as fence-sitting buyers, who have been waiting for a rate cut, may take the plunge now.